According to a recent PricewaterhouseCoopers (PwC) report, emerging Artificial Intelligence (AI) technologies could contribute $320 billion to Middle Eastern economies by the year 2030. Naturally, with economic diversification typifying the Gulf States’ long-term development plans, the GCC states are keen to capture new revenue sources associated with this emerging technology. It was within this context that the UAE Minister of State for Artificial Intelligence, Omar bin Sultan Al Olama, claimed “data is the new oil,” and suggested that the energy industry should utilize AI to boost yields and lower costs. However, such an application raises important questions about the effects AI may have on the region. Will advances in AI simply improve the efficiency of existing economic activities in Gulf Arab states, as alluded to by Al-Olama? If so, such an application may only serve to reinforce the Gulf’s already problematic economic institutions. Conversely, innovative uses of AI might help initiate the broader transformation the region’s economies so desperately need. With these divergent outcomes in mind, Gulf Arab states must skillfully harness AI technologies to strengthen their economies without deepening the region’s persistent reliance on revenues from natural resources. Indeed, there are high expectations for AI across the Gulf. Saudi Arabia’s policymakers hope that Neom (a planned mega-city) will become an Arabian Silicon Valley, where robots outnumber humans and fully-autonomous vehicles replace traditional modes of transportation. In addition to a dedicated minister to oversee the UAE’s AI portfolio, the emirate of Dubai launched the Smart Dubai initiative, which includes a designated AI lab that is managed through a partnership with IBM. Technology-focused free zones, like Qatar Science and Technology Park and Knowledge Oasis Muscat, aim to attract foreign and local investment in each country. However, while the Gulf Arab states can utilize AI to increase efficiency and improve productivity in strategic sectors, leveraging AI to transform the underlying structures of Gulf Arab economies will prove to be a much more complex and competitive process. The AI applications of assisted and augmented intelligence, wherein hardwired and adaptive systems enhance human decision-making, can help reduce wasteful spending in the region. Fluctuations in hydrocarbon prices and a tendency to delay painful economic reforms have compounded fiscal challenges confronting Gulf Arab states. Saudi Arabia’s cumulative budget deficits between 2015 and 2017 reached approximately $229 billion. Successive years of budget deficits in Bahrain depleted the country’s foreign currency reserves by nearly 75 percent, forcing neighboring Gulf states to pledge $10 billion in October 2018 to shore up the country’s finances. Moreover, the IMF warned Oman that the country must implement reforms to improve its fiscal sustainability in the medium and long terms. AI can assist economic policymakers to identify budget inefficiencies and better allocate state spending to programs and departments that demonstrate a measurable impact. 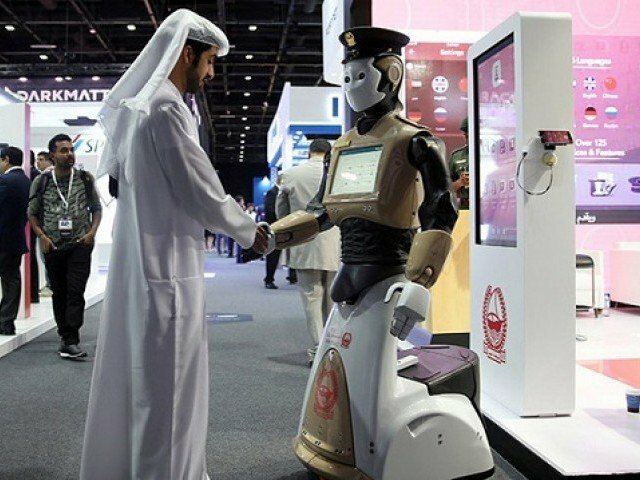 Gulf Arab states can likewise utilize AI to trim bloated public sectors. Regional governments employ far too many citizens in unproductive, expensive roles. For example, approximately 89 percent of employed Qatari citizens work within the public sector. The sustainability issues surrounding the Gulf’s labor market segmentation are well-known. The proposed austerity program in Bahrain even includes a public-sector retirement scheme. Yet labor reform in the Gulf is no easy task. 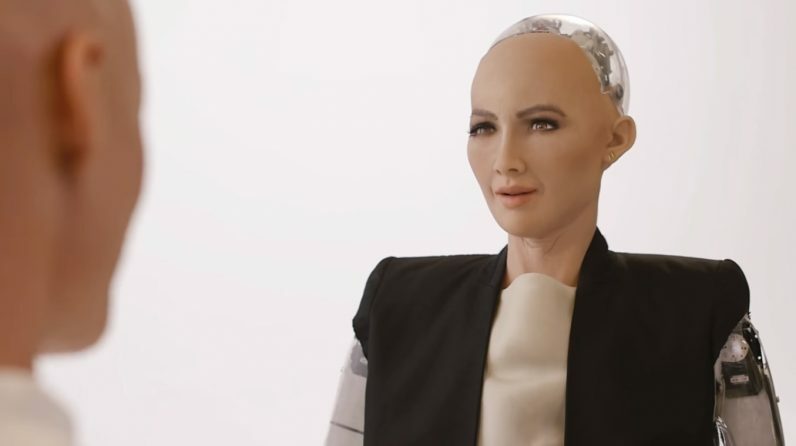 The integration of AI applications–specifically automation and autonomous intelligence–can supplant redundant public-sector positions in a manner that is more politically palatable than hiring cheap expatriate labor. Indeed, a failure to implement the latest AI technology to streamline government bureaucracies and programs to enhance decision-making processes would be socially irresponsible. AI can also boost productivity in preexisting strategic sectors of the economy. The PwC report forecasts that the largest economic contributions from AI will occur in the finance, public services, and manufacturing sectors. Within the Arab Gulf, these typically separate domains are closely linked to hydrocarbon revenues. If leveraged correctly, AI could lead to applications that unlock new value from energy resources. Indeed, the Abu Dhabi National Oil Company held an Artificial Intelligence Forum in November 2018 to explore how AI will impact the development and competitiveness of the oil and gas industry. Such an application is not necessarily in the long-term economic diversification interests of reducing the Gulf economies’ dependence on hydrocarbon revenues. Rather, many of the potential applications of AI concerning budgets, government workforces and traditional sectors of the economy will essentially reinforce existing economic institutions in the Gulf. There may be less waste, fewer government employees and more productivity in traditional sectors; however, these applications alone will not generate new government revenues, employ more citizens in the private sector nor develop new economic sectors. For AI to initiate the broad economic transformations the Gulf so desperately needs, Gulf Arab states need to transform themselves into technology hubs. This trajectory of development is arguably underway in the UAE and Saudi Arabia, where AI’s contribution to GDP by 2030 is expected to reach 14 percent and 12.4 percent respectively. The Smart Dubai initiative, a national innovation strategy and an e-commerce-focused free zone position Dubai specifically, and the UAE more generally, as an attractive base for AI-focused firms. Saudi Arabia’s government wagered substantial fiscal and political capital on Neom becoming a global technology hub; however, major investments from top-tier technology firms have yet to materialize. Qatar’s small size and tech-savvy population make it a scalable environment for AI experimentation, but the country’s ranking on the Global Innovation Index 2018 reveals room for improvement within this income group. Not all Gulf Arab states will become de facto technology hotspots. As governments dedicate larger expenditures to AI-related initiatives and seek to attract top technology firms, competition over foreign investments will increase. Thus, regional governments must be realistic about their prospects for becoming global technology hubs, creating niche environments for specialized technologies or simply integrating AI systems to improve efficiency and productivity. Economic gains from AI may not be distributed equally across the Gulf, but the economic pie is large enough to share if divided intelligently. Robert Mogielnicki is a Non-Resident Fellow at the Gulf Arab States Institute in Washington. 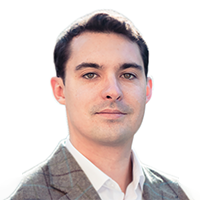 He is also a Senior Analyst at the Siwa Group and a Ph.D. researcher at the University of Oxford’s Magdalen College, where he specializes in the political economy of Gulf Arab states. “ADNOC Hosts Global Industry and Technology Leaders to Explore the Application of Artificial Intelligence to Unlock New Value from Oil and Gas Resources,” MENA Herald, November 13, 2018.